I just realized why and where golfing bothers the body !!! I have just recently started to golf. I have never before been golfing. 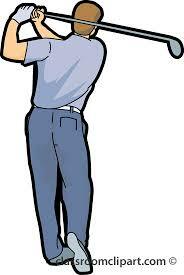 I have now been to the driving range once, practiced in our back yard a few times. A few weekends ago I went to golf -9 holes- at a PAR 3 course. Now this meant nothing really to me. What I thought in my head is: I will get some good exercise, some fresh air, sun and of course bugs. It did not occur to me that I might have sore muscles as I feel like I am in good shape. 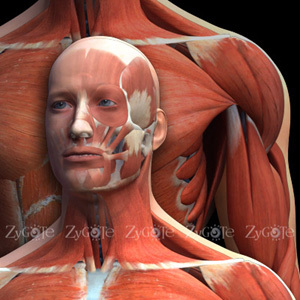 Now I do realize, being a massage therapist, that we use different muscles doing different sports and activities. However, I got to experience this first hand. I am not a competitive person by nature. Lucky for me the course was slow, meaning not may people so I did not feel rushed. I took my time, focused and moved slowly. We walked the course, pulling our bags on wheels. Walking is part of the purpose and reason golf interested me. I kept score mostly for a baseline to see improvement. NOW...I understand what muscles golfer use and where they may be sore and need some help feeling better to you are ready for you next game. My mid back was the most sore, not my lower as I would have suspected. Also my hands and wrists from how the grip on the clubs works. I certainly do not consider myself an expert yet but now I have first hand knowledge of how to massage those folks that golf and have golfing injuries. So please call TODAY and schedule your appointment. I can certainly help those muscles calm down, feel better. I DO know what when your muscles work with you and not against you...anything and everything you do will be smoother and create less aches and pains, hence a much better time and game.